Fontes Foundation Uganda’s Single Mothers Programme (SMP) is funded with generous support from Aid in Meeting (AIM), a bilateral aid programme for student branches in Lions Club International. Between the 29th June and the 17th July 2015, Amalie and Pernille from AIM visited Fontes Foundation Uganda in Kampala to oversee and participate in the activities they support. While here, they took time to visit some of the SMP students in their homes. Amalie and Pernille from AIM visiting Doreen (26) and her daughter, Liz, in their home in Bukasa, Kampala. In the middle is Stella, the child minder at Potentiam Youth Centre. Doreen (26) and Halima (23) are two of the young mothers Pernille and Amalie got to visit during their stay. Doreen told the two about how she felt particularly inspired during the SMP session when she learnt how to bead. 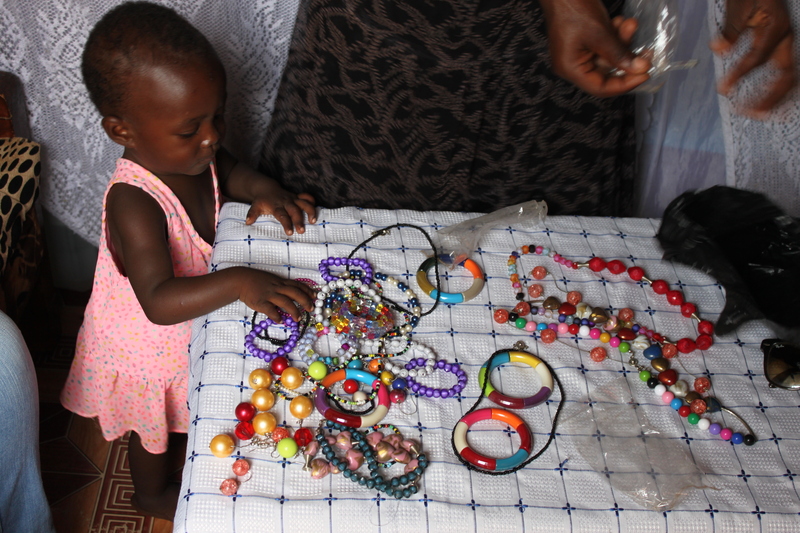 She now has a small beading business that she’s running from her home in Bukasa, Kampala. Unfortunately, she doesn’t have the flexibility to sell her items from outside her house, as she has no one to take care of her two children during the day. Further down the road, and with a total of six children, Halima is a busy housewife. 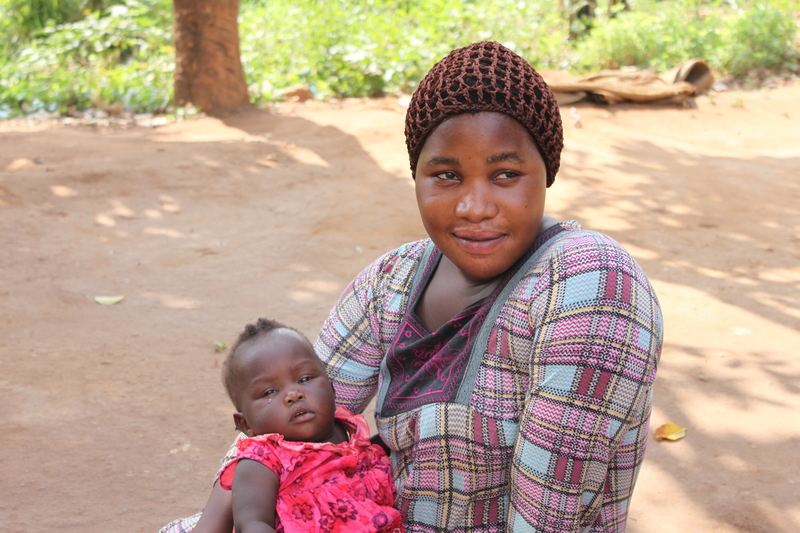 Her sixth child, Rashita, is only six months old. The children’s corner at Potentiam Youth Centre is thus crucial to ensure Halima’s participation in the Single Mothers Programme. The children’s corner is completely supported by AIM and was built by the AIM delegation that visited in 2014. Halima (23) with her daughter Rashita (6 months), the latest addition to Halima’s six childrenation in the Single Mothers Programme. The children’s corner is completely supported by AIM and was built by the AIM delegation that visited in 2014. In addition to these home visits, the AIM delegation of 2015 helped planning the SMP courses and trainings, assisted in the evaluation of the Single Mothers Programme and taught the SMP students how to knit during one of the SMP facilitations. Fontes Foundation Uganda would like to thank AIM for their continuous support of and their commitment to the Single Mothers Programme! It was a pleasure having your delegation with us here in Kampala.